As I walked into the large and unassuming, storage building I braced myself for what I might see. He told me to “hang on while I get the lights “ …. and as I stood there I could make out the shapes of what I knew would be an amazing collection. 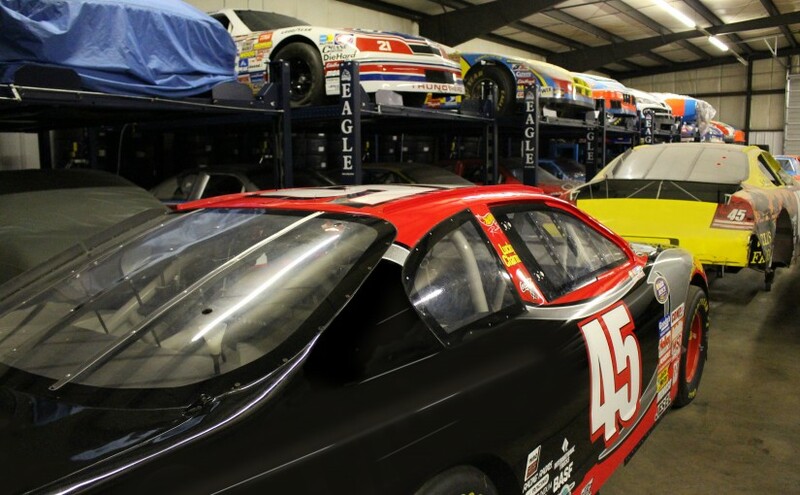 The lights came on and there stood a row of the Eagle 4-post storage lifts with some historic and monumental race cars stored on them. Some gathered thick layers of dust while others were respectfully covered. This storage building held amazing treasures of the past. The man who became “The King” has been in racing for over 50 years. His daddy was a NASCAR driver. These treasures were more than cars… they told his story, and the stories of his son and grandson. That’s why they are kept, and stored with care. The weight of the history that stood around me suddenly hit me, and goosebumps rose up. I almost forgot that I was there to get photos of the Eagle storage lifts. 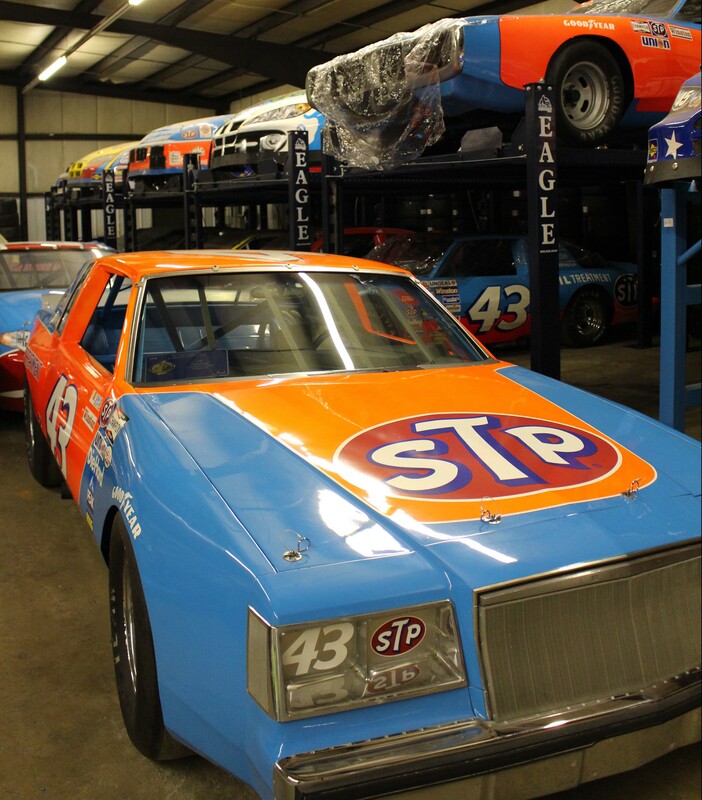 There were cars that Richard Petty drove, including his last win at Daytona. There was the car the Kyle Petty drove when he was at Wood Brothers Racing. 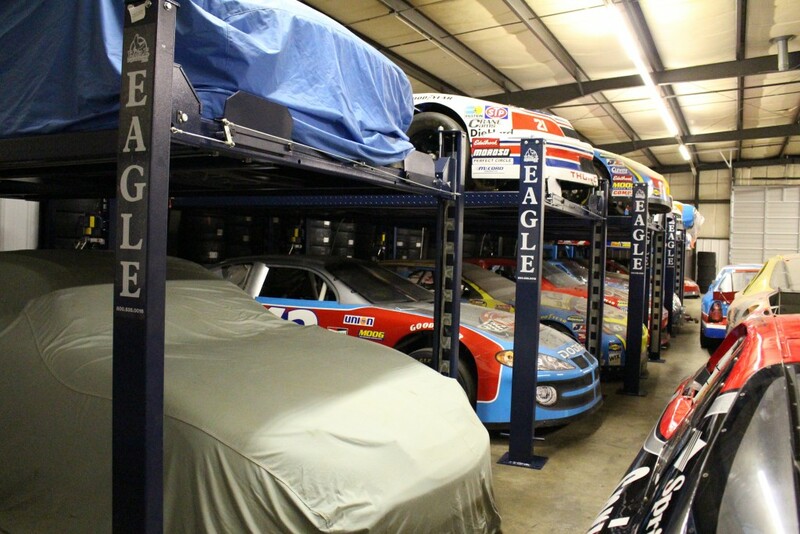 There were even Adam Petty’s cars that were considerately covered. The legend that is the Petty family is not only in racing or in North Carolina, but in their life are abundant. They make you feel truly special and want you to take a part in their history. 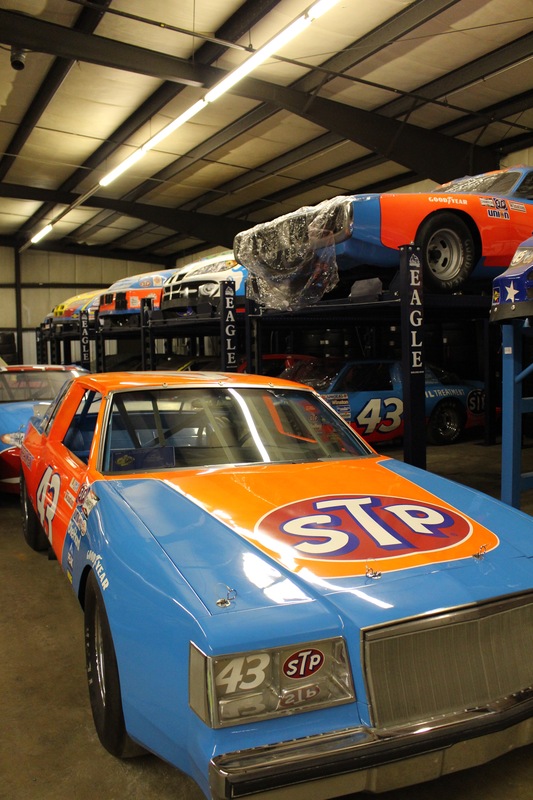 If you want to experience it too, you should visit the Richard Petty Museum in Randleman, NC. To have been able to be a part of this special space with the Eagle brand is an experience that is truly unexplainable. 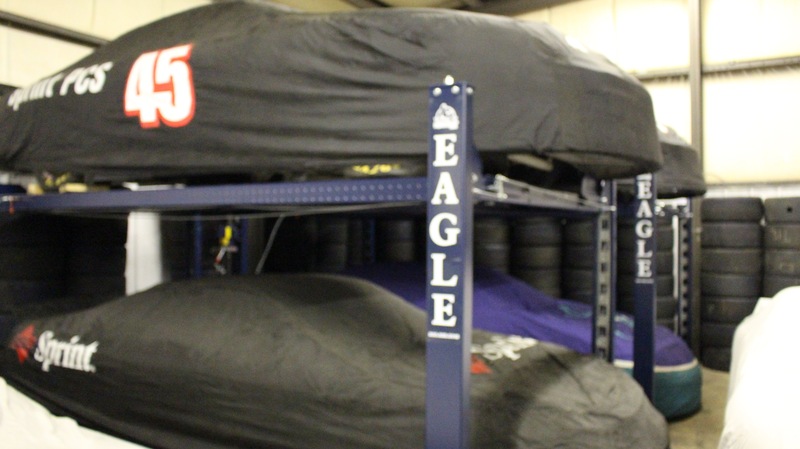 What will you store on your Eagle lift? I bet it’ll be legendary. Sure. I will have one of our parts specialist assist you with that. Next Next post: Time for Spring cleaning & organizing! Let’s start in the garage.